Beirut is one of those bands you recognize instantly from the first note of lead singer, Zachary Condon’s voice. The high school dropout from Santa Fe has been largely influenced by mariachi music and his days in jazz band where he played the trumpet. 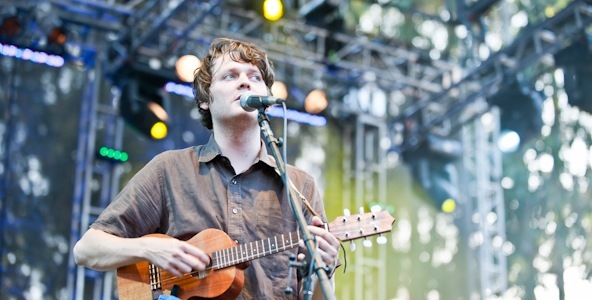 The first album from Beirut was recorded mostly in Condon’s bedroom while he attended University of New Mexico in Albuquerque, earning him a label spot with Ba Da Bing records. Since then Zach has been extremely busy, releasing two additional full-length records along with five EPs and appearing on the Dark Was The Night compilation. You can read more about his latest album, The Rip Tide, here. Condon and his gang will be performing on Sunday at Coachella. They’re certainly a do not miss act.